Killings by the Lord’s Resistance Army, or LRA, in 2012 fell to a new low since 2007. Abduction remains a calling card of the LRA, with 512 cases of kidnapping over the past year. Fresh statistics and valuable analysis about the dynamics of one of Africa’s longest running insurgencies are captured in the LRA Crisis Tracker Annual Security Brief, produced by Resolve and Invisible Children and released this week. The brief provides a summary and analysis of reported LRA activities in the tri-border region between the Democratic Republic of Congo, South Sudan, and the Central African Republic. The brief is based on information gathered through the LRA Crisis Tracker, which provides real-time data tracking LRA activity and reporting harm to civilians as a result of LRA violence. Data was collected from NGO and U.N. reports, Invisible Children's field research, and high frequency early-warning radio networks in the region. The annual security brief highlights six key trends of LRA activities in 2012, vividly demonstrating that the LRA's strength is on the decline. For example, the number of “major attacks” has significantly reduced with the exception of an area spreading north and east from Bangassou, CAR. In 2012, the LRA combatants killed a total of 51 civilians, down from 154 deaths in 2011 and 706 deaths in 2010. Additionally, during the past year, the reported incidents of violence were higher during the first six months of 2012 and then tapered off in the latter half of the year due to seasonal precipitation and agricultural patterns. While the downward trend over the course of the year might be optimistically seen as indicative of a positive, ongoing trend, the seasonal nature of attacks means that some analysts are concerned about an uptick in the early months of this year. In 2012, 31 Ugandans defected from the LRA, including 20 adult male combatants. Resolve and Invisible Children found that although the number of aggregate defections remains small, the defection of Ugandans represents a significant blow to the LRA fighting force, which is comprised almost exclusively of Ugandans. The annual Security Brief traces trends of LRA abduction patterns indicating that the rebel movement might be seeking temporary porters capable of carrying heavy loads of looted goods rather than seeking to train new fighters. Indeed, from 2010 to 2012, over 64 percent of abductees escaped or were released within one month of their abduction. Still, these abductions remain a concern because Kony has been successful in keeping the LRA hierarchy cohesive and under his control. 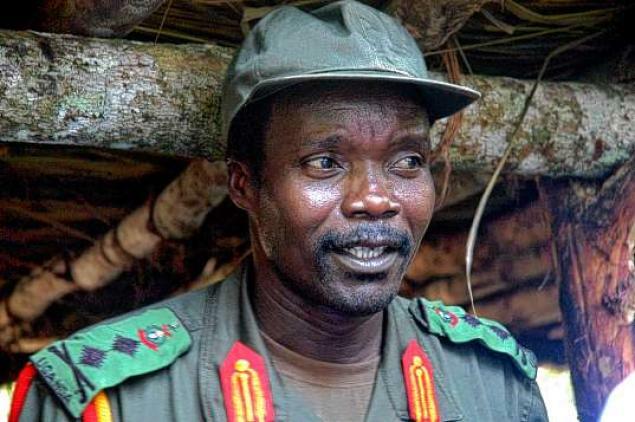 He is able to stay in touch via high-frequency radios and satellite phones, as well as dispatching “runners” who travel between groups, a system that enables Kony to maintain command coherence and plan future operations. Although LRA violence has been on the decline, continued attention to ending the LRA crisis is needed to ensure that the trend continues. In particular, the new Obama administration should keep the U.S. military advisors deployed in the region. The U.S. should also address the challenges that are preventing efforts to apprehend the LRA’s senior leaders and protect civilians, including the insufficient number of troops pursuing the LRA, the inability of the national armies to access LRA safe havens, and the lack of real-time intelligence about the LRA.